PGS Plumbers serve New Malden with expert plumbers and heating engineers. Our plumbers in New Malden are vastly experienced in their trade and can offer an unparalleled level of plumbing skill. Want to know what our customers think? Have a read of the testimonials on our Google Places page to find out. 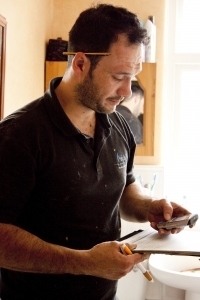 Our plumbers in New Malden pride themselves on the quality of work that they supply. No job is too big or too small, from drainage to leaks our engineers can cope with any domestic plumbing problem that might arise. The New Malden plumbers we directly employ are on call all day to help out with your plumbing needs. All the work PGS Plumbers carry out is fully guaranteed. So if you're not happy with the results then we'll come back free of charge to fix it. Don't hesitate to call PGS New Malden Plumbers today and chat to one of our expert call centre staff.